Malaysia kitesurfing, an awesome way to get in your daily kitesurfing fix. The 2019 kitesurfing season has officially opened for bookings! Kitesurfing Malaysia - get here, get high, get stoked! Are you a kitesurfer based in Singapore or Malaysia and you're wondering where to have a regular blast? 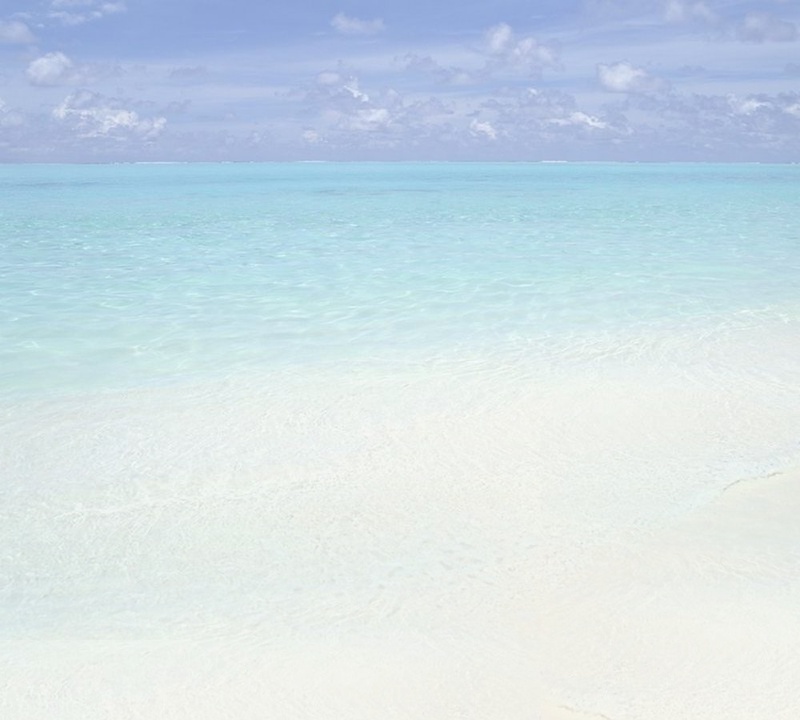 Maybe you're thinking of going on periodic kitesurfing safaris to Vietnam or Thailand? Well, before you book your tickets, consider this: there's no need to travel that far. If it's consistently windy conditions you're after, friendly 10-15 knots of wind, then head up to Malaysia. Time it right and you could well be in for a honk-fest! In fact, during the months of November/December to February/March, Malaysia gets hammered by winds of up to 20 knots or more. This wind is part of the yearly monsoon event, dense North-east monsoon winds barreling down the South China Sea, before colliding with Malaysia. Throw the wind-swept 2 meter Malaysia swell into the mix and you've got yourself a happening mix that's ideal for endless fast and furious kitesurfing action. Other excellent kitesurfing locations during the monsoon are Tioman, Kuantan, Balok, Tanjung Resang, Gorek Bay, Jason Bay and Cerating. These places come with plenty of pretty hefty swell, so you'll be able to hone your wave riding too. The season that's up next, is the Southwest monsoon, a time when winds around Malaysia are a decent 10-15 knots, more than enough to get your kitesurfing fix. Productive spots to have a go at are at the Southwestern tip of Tioman, just off Kampong Genting, where the SW wind broadsides that exposed part of the island obliquely to create a semi-Venturi effect of up to 20 knots. The other consistently windy area is at Kampong Juara, at the East coast of Tioman. This bay is blessed with a pretty regular sea breeze. It isn't as strong as the wind at Genting, but it's enough for a solid day's kitesurfing. And since winds here are cross-onshore and the beach is huge, Juara is kitesurfing heaven, because it's easy to launch and easy to come back in, even after you've been becalmed. Other great spots for hours of cruising or practising your freestyle moves are along the East Coast of Malaysia, i.e. the ones mentioned above, because during the SW monsoon, Peninsular Malaysia's East Coast get its fair share of wicked side-shore winds. 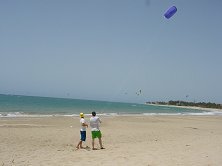 Do you want to learn how to kitesurf? Whether you're 15 or 55, simply head to Malaysia for a weekend of kitesurfing classes with one of our kitesurfing instructors. Kitesurfing is one of the fastest growing sports world-wide. And small wonder, given the relatively easy learning-curve, the awesome air-time and the high-octane record-breaking speeds that kitesurfers routinely attain. Our officially IKO-certified kitesurfing instructors are not only experts at passing on their kitesurfing skills, but they never lose sight of their number one priority: your safety. Our kitesurfing course is broken down into separate modules so you can complete each one individually till you've done them all. Alternatively, you can just take a few clinics by the hour to polish your skills and top up your confidence. Should weather conditions change to unfavorable, you can always come back and pick up where you left off. Kitesurfing Malaysia offers various kitesurfing lesson packages, as well as kitesurfing gear rental, so fill in the form below if you're interested in feeling the rush of kitesurfing. Kitesurfing Malaysia - Up up and away!